Michael “Mighty Mike” Early is a 6′ 4″ bullfighter. The 21-year-old hails from Auxvasse, Missouri. For the past nine years he has been fighting bulls and protecting cowboys. Currently is working on his PRCA permit. Education – Missouri Welding Institute graduate, June 2017; Attended NE Oklahoma A&M Junior College on a bullfighting scholarship for 18 months. Favorite action hero – Would definitely have to be the Ninja Turtles even though they’re not technically 100% an action hero. Face paint – Two crosses, one on each cheek and it represents and reminds me that I couldn’t do what I do without the good Lord above. 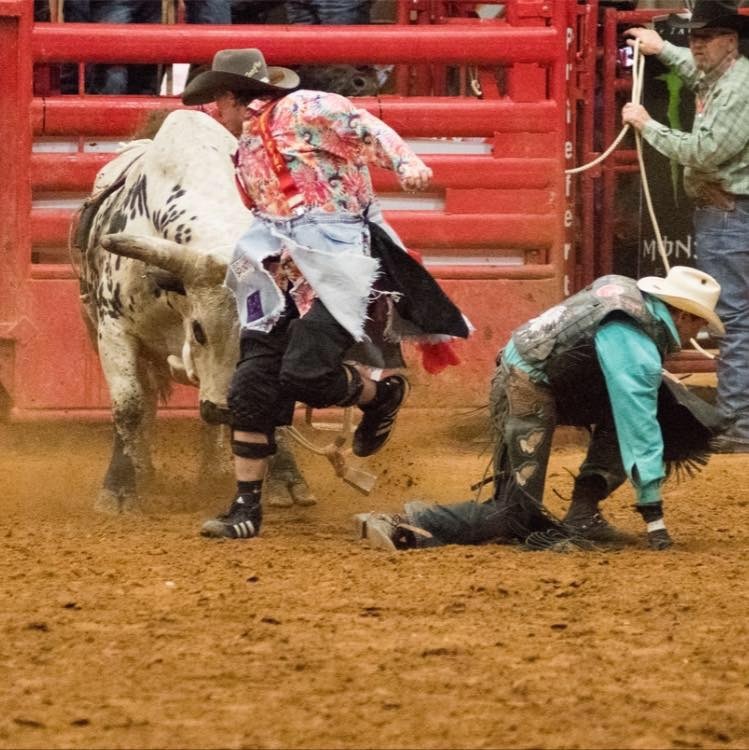 Favorite bullfighter – Frank Newsom because that man is the toughest man on the planet earth he takes beating after beating and never quits and is fearless. Any young bullfighter needs to watch videos of him he’s the handiest, toughest, and most humble guy that has ever laced up a pair of cleats. Characteristics of a Bull – Prefers a much meaner bull because a mean bull is a lot easier to work than a bull that isn’t mean if the cowboy is in trouble.